... established authors and like-minded peers who can help you develop the skills and confidence to find your own voice. 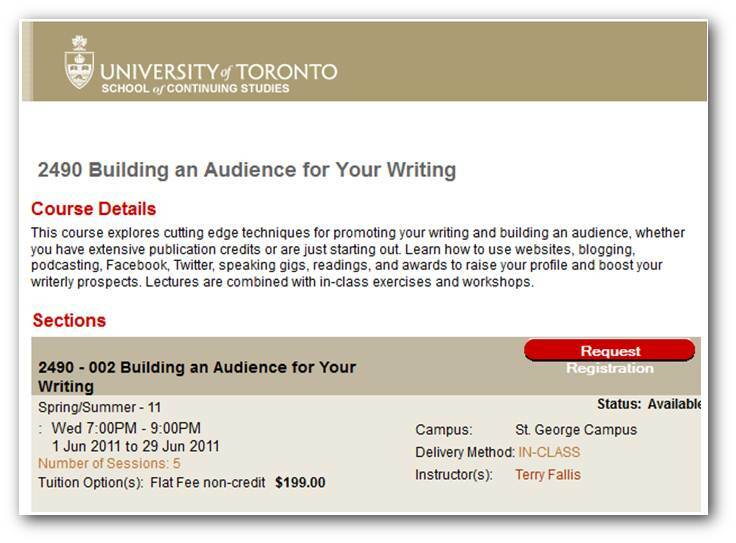 The School of Continuing Studies is a hub for Canadian writers. With 2,000 enrolments in our courses and certificates in 2014-2015, the School's acclaimed program is the largest of its kind in Canada.